CSI provides material handling equipment products ONLINE in the manner and configuration they are most commonly utilized by our clients. Container Systems (CSI) has an extensive array of material handling products available for your easy and efficient online purchase. Our objective at CSI is to serve you and be your ‘go to resource’ for all of your material handling projects. 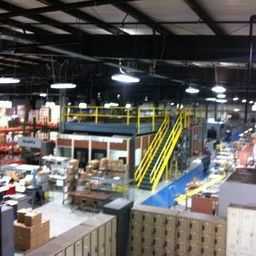 If you do not find the material handling products online exactly how and what you need contact us. We are confident that we have the experience, capabilities, and product access to assist you in obtaining your objectives. Bulk Material Handling Equipment, Heavy Duty Pallet Racks, Security Cages, Modular Inplant Offices, Vertical Lifts, Mezzanines, Shelving, Safety and Security Equipment, Shop Equipment, Containers, Conveyor, Vertical Carousels, Warehouse Lighting, Lifts, Dock Equipment, even Used Equipment, and more are available to you either online or through our highly competent sales professionals. No company or individual purchases material handling equipment or services just because they want to. Material handling equipment such has heavy duty pallet rack, bulk material handling equipment, and the broad array of other equipment and services are purchased to achieve specific objectives. Our primary focus at CSI is not to just sell material handling equipment and services. Our primary focus is to assist our customers in achieving their goals and objectives. Material handling equipment and services are a tool. Once we understand what our customer is seeking to achieve, we utilize those tools to obtain those goals and objectives for our customers. Based upon our extensive knowledge, experience, and capabilities we utilize the right equipment and services to fulfill our customer’s goals and objectives. The products and configurations we have available in our extensive ecommerce presence is there to provide ease of acquisition for those customers who know what they need. If our customers do not see specifically what they need or they have need of professional assistance in determining what would best assist them in achieving their objectives they contact us. Our educated, experienced, professional personnel are available to assist our customers in achieving their objectives. If you are in Chicago, Illinois, or the Mid-West, CSI is your logical choice for Material Handling Equipment and Systems.